Girl Who Reads is a literary ezine that publishes daily. We accept books for review from indie, small and large presses as well as those that are self-published. Print, ebook, and audiobooks are accepted. We accept both advance copies as well as those already published. eBooks: It is best to be able to provide ebook review copies in epub, mobi, and pdf. Not all our reviewers read Kindle ebooks nor do they all use the US Amazon site (we have reviewers outside the US). Please note in your review request if you will be gifting the ebook through Amazon or are able to send the ebook in the reviewer's preferred format. Netgalley approval or Smashwords coupon codes are also accepted by our reviewers. Audiobooks: Audible gift codes or mp3 files are the preferred formats for audiobooks. The reviewers (see bios on the About page) read a wide range of fiction and the occasional non-fiction text. You can view previous reviews by searching their name. We do not review erotica or LGBTQ literature. Romance, all subgenres except erotica. Authors, publicists, and publishers are welcome to pitch their books to the publisher by emailing donna (at) girl-who-reads.com. If the title looks like it would be a good match for Girl Who Reads, the publisher will forward your request to an appropriate reviewer (you may request a particular reviewer). The reviewers have final decision on whether they will review the book or not. If the reviewer accepts the review, she will contact the requester directly. Due to the large number of requests, you will only be contacted if your book is accepted for review. If your book is accepted for review, we will try to get to it as soon as possible. Girl Who Reads does not guarantee a positive review. What we do promise is an honest review which will highlight the positive aspects of the book without neglecting to mention any negative issues. Girl Who Reads is open to participating in blog tours and pub day media blitz. Please email your requests to the publisher at the above email address. Please note reviews are copyrighted by Girl Who Reads and may not be republished in full without written consent, this includes retail sites and social cataloging sites such as Goodreads. 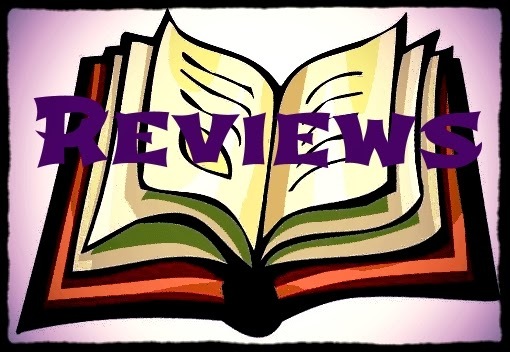 Authors may use a small portion of any reviews published by Girl Who Reads of their books for promotional purposes, including the 'editorial reviews' section on Amazon. Appropriate attribution is required and should include the reviewer's name and the name of this publication. A number of promotional options in addition to reviews are available. These options are available even if your book is not accepted for review. Girl Who Reads reserves the right to refuse any request without reason. Authors are welcome to submit a guest article, please read the submissions guidelines and check the calendar for available dates. Giveaways can be paired with any feature or review. Sponsor a Mystery Box Giveaway! Each month we host a giveaway wherein one person wins a box that includes 1 or more books as well as other book goodies. To sponsor a box, you must provide at least 1 print book (signed or not). You can also provide swag, but it's not required. Featured Book ($20) The book promo is free and includes cover, back cover summary, 3 praises, and a sample and/or trailer if available. Books with more than 10 reviews on Amazon/Goodreads or a new release (less than 30 days) will be considered. Sponsored Post ($15) This option includes a mention of Brand sponsoring the post at the top of the post (i.e. "This post is sponsored by Author Name") with link to Brand's website and at the end of the post an image with a short quote and link to Amazon or other site (after the post author's bio and before the footer). Newsletter Sponsor ($5) Up to 3 sponsors per newsletter. An ad will include an image and either a 100-word summary or up to 3 praise quotes (sponsor's choice) and 1 link. Current stats (as of March 2019): average 1,000+ page views/day, 4,974 Twitter followers, 2,935 Facebook fans, 283 Instagram followers, 209 newsletter subscribers 1,412 RSS subscribers. 201 Bloglovin' followers. A Top 50 Book Blog according to BlogMetrics.